From Jan., 2015, by the request of such as international financial institution, he starts the first independent think tank in Myanmar “Greenfield Economy Geopolitical Research Institute (GREGRI)”, and plays the role of CEO in it. The seminars sponsored by GREGRI reaches already 7 times, and all the seminar has been supported by Myanmar government, and 6 times of those held in Japan have been supported by Japan External Trade Organization (JETRO). 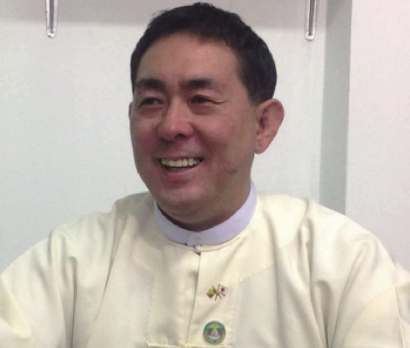 In 2016, entrusted with power by the new government about the coordinate of a Minister Mission, and using his own pipe with top level of Japanese government, he actualized meetings with the Prime Minister Special Advisor at Prime Minister’s Office, Japan-Myanmar Parliamentary Friendship League, Ministers and etc. Being taken account of his achievements, he is appointed to be a Union Minister aide. Now, he has a strong connection with top of Tanintharyi Region Government which embraces Dawei SEZ of which Japan-Myanmar-Thailand of 3 countries have signed off as national project and if completed it will be the largest economic industrial zone in South East Asia. He’s known as the person most familiar with the internal information of Myanmar.